Some teachers and students are spending the summer gazing at the stars and Pope Francis fully supports their actions. Of course, it isn’t just wistful musing; it is the summer course in astrophysics of the Vatican Observatory, which draws participants interested in the nature of the universe from around the world. 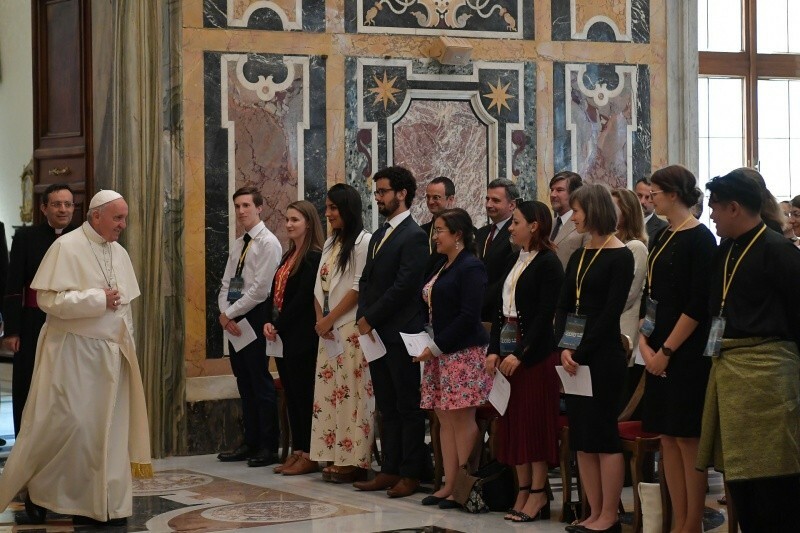 The Pope encouraged their studies in an address on June 14, 2018, in the Clementine Hall of the Apostolic Palace. And he suggested that the diversity of the group is a strength, as well as how they learn to manage vast amounts of information. I offer a warm welcome to all of you, the professors and students of this summer course organized by the Vatican Observatory. Coming from many countries and cultures, you bring with you many different areas of expertise. You remind us that diversity can be united by a common goal of study and that the success of that work depends on precisely this kind of diversity. By working together, from the variety of your backgrounds, you can help develop a common understanding of our universe. Before all this information, and the vastness of our universe, we may be tempted to think of ourselves as small and insignificant. This fear is nothing new. More than two thousand years ago, the Psalmist could write: “When I see your heavens, the work of your hands, the moon and the stars which you arranged, what is man that you should keep him in mind, mortal man, that you care for him?” He then went on to say: “Yet you have made him little less than a god; with glory and honor you crowned him” (Ps 8:4-6). The “glory and honor” of which the Psalmist speaks can also be understood in terms of the joy of intellectual work such as your own study of astronomy. It is through us, human beings, that this universe can become, so to speak, aware of itself and of its Maker. This is the gift, and the accompanying responsibility, given to us as thinking, rational creatures in this cosmos.